 Iran, Nov. 30, 2018 - Members of a vast network associated to the Iranian opposition People's Mojahedin Organization of Iran (PMOI/MEK) are continuing and expanding their activities against the mullahs’ regime by setting ablaze images of Iranian regime President Hassan Rouhani and various sites associated to the oppressive Revolutionary Guards (IRGC) Basij forces. Members of a resistance unit in the city of Maku of West Azerbaijan Province in northwest Iran voiced their support for the ongoing strikes and demonstrations held by the hardworking Haft Tapeh sugarcane mill employees in Shush, and the brave National Steel Group employees in Ahvaz, both in southwest Iran. The resistance unit members set fire to a Rouhani poster. In Karaj, west of Tehran, a resistance unit bravely set fire to a site associated to the regime’s repressive forces. Members of this resistance unit took footage of setting fire to an IRGC Basij base near this city. It is worth noting that the regime’s oppressive IRGC Basij are classified as terrorist entities for their criminal measures, including dispatching child-soldiers to their deaths in conflict zones and launching infiltrative wars in Syria and beyond. US Ambassador to the UN, Nikki Haley had voiced Washington’s strong position in this regard. The IRGC uses school children for war and dispatches them to war fronts across the region, she emphasized. In addition to its crackdown of dissidents inside the country, the IRGC provides military training to Basij forces to participate in wars. The IRGC uses children as recruits, training them for war in Syria and supporting the ruthless Assad regime. The Basij has also used Afghan immigrants for this purpose. The IRGC Basij was classified as “specially designated global terrorists” entity along with the classification of 22 other companies and financial entities. As a result, the IRGC Basij assets were frozen and U.S. citizens were banned from doing business with the Basij and a conglomerate of banks, investment and engineering companies. These days, Iranian resistance units continue their activities across the country, keeping the fire of resistance and uprising alit and spreading fear among the ranks of the regime’s suppressive forces. In Urumiyeh, the members of one of the resistance units set fire on a large banner picturing Ali Khamenei, the supreme leader of the Iranian regime. The Iranian regime considers the supreme leader as its ultimate red line. Even when quarreling among themselves, regime officials take care not to raise the ire of the supreme leader. It also considers the PMOI/MEK as a red line and treats anyone who supports them harshly. In the past decades, the regime has executed tens of thousands of Iranians for being members or supporters of the MEK. At great risk to their lives, the resistance units are continuing the nationwide protests and the struggles of the Iranian people for regime change. Since protests erupted across Iran in December, the mullahs’ regime has become weakened in its entirety. The past months have shown that for the regime of Tehran, there’s no turning back and returning to the state of affairs before the protests. The national uprising will not be stifled. If the regime wants to respond to the demands of the people in any way, it will embark on a journey that will result in its own undoing. Therefore it has no way to escape from its current deadlock. For the regime, it is either capitulating to the demands of the people, which will cause the unraveling of the suppressive and tyrannical rule it has established in the past four decades, of the intensification of its suppressive measures, which will result in the intensification of the rage of the people and trigger more protests and confrontations between the people and the regime. Members of resistance units associated to PMOI / MEK are expanding their activities in cities across Iran following a recent message delivered by Iranian opposition leader Massoud Rajavi. Furthermore, following years of the Iranian regime taking advantage of the appeasement policy, recent sanctions imposed by the United States shows this lifeline is reaching its end for the mullahs’ rule. Members of Resistance Unit 881 in Qazvin, northwest Iran, set fire to a poster of Iranian regime Supreme Leader Ali Khamenei. Back in June at the Iranian opposition convention in Paris, Iranian opposition President Maryam Rajavi delivered remarks regarding PMOI/MEK resistance units. “These days, an industry of concocting phony alternatives has become prevalent in the political arena, of course, copying and pasting aspects from others. And this in itself is another sign of the phase of the regime’s overthrow. But the crux of the matter is how they are going to actually bring down this regime in practice. This question is especially relevant as the blood of the martyrs has permanently and historically blocked the path to reform within the clerical regime and the return of the monarchy. “If one can topple the mullahs without challenging Khomeini over the unpatriotic Iran-Iraq war, forcing an end to the inferno of that war, and discrediting the regime’s slogan of ‘Liberating Quds via Karbala” without compelling Khomeini to accept the ceasefire by launching 100 military operations by the National Liberation Army of Iran, which captured the city of Mehran and marched to the gates of Kermanshah; and without exposing the regime’s nuclear weapons, missile, chemical and microbiological programs and facilities, yes, go ahead and don’t delay.